The Elusive Guanaco: Did Jesus Have Only 24 Chromosomes? 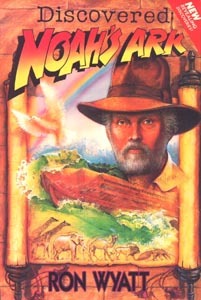 In 1978 an avid archaeological enthusiast (with no academic training in archaeology) was walking in Jerusalem when he received word from God that the infamous ark of the covenant, the holy container for the 10 commandments, the symbol of the presence of God and the destruction of Nazis everywhere (Indiana Jones reference, in case you didn't get it), was hidden in a nearby hill. The man could not believe this revelation, and so went home and did some research. He discovered that the ark’s last known location before it had vanished was in Jerusalem. When the Babylonians seized Jerusalem and destroyed the Temple in 586 BC, there was no record of the ark being captured. The ark, then, must have been hidden somewhere in Jerusalem during the siege. What better place than a cave in a hill? Upon further investigation he discovered that the hill was Golgotha, the place where Jesus had been crucified. Furthermore, the cave under the hill had been Jeremiah's hiding place. This man returned to Jerusalem and began excavating. He quickly discovered the very spot where Jesus’ cross had been positioned. Beside this spot was a crack in the rocks which opened onto a subterranean cave. Digging produced immediate treasures: a Christian altar, indicating that early Christians had known of the site’s significance; Jesus’ burial stone; the sword of Goliath; Temple instruments; and, after squirreling through a narrow passageway, the ark of the covenant itself. It was a miracle, and had been foreshadowed by the appearance of an angel at the excavation site. 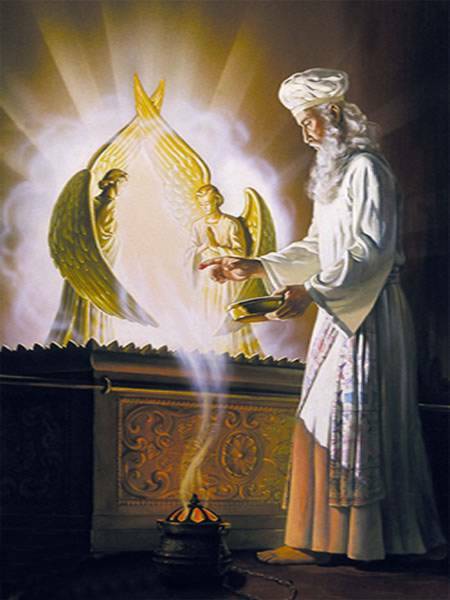 Most miraculous of all, though, was a dried dark substance found on the mercy seat of the ark. In the Old Testament, the mercy seat was described as a gold lid on which sat two gold cherubim with outspread wings; once a year, on the Day of Atonement, the priest would sprinkle the blood of a bull and a goat on the mercy seat to atone for Israel’s sins (Leviticus 16). Obviously, this black substance was blood. Most amazing of all, there was a similar black stain on the crack in the roof, right next to Jesus’ crucifixion site. Clearly, then, when the spear went through Jesus’ side causing blood to flow out, some of this blood dripped down the crack and hit the mercy seat. Thus Jesus’ death was the ultimate Day of Atonement. In case the video did not work, the blood was not only still alive, but it contained 24 chromosomes! Regular human blood has 46 chromosomes, 23 from mom and 23 from dad. This one had a full set from mom, and then a single Y chromosome, definitively proving its authenticity as the blood of Jesus. Not only so, but at various other sites this man found Noah’s ark, the towns of Sodom and Gomorrah, and numerous other items of Biblical importance. This is amazing! Why have only a few Christians heard of this? Is it too ‘cutting edge’? Are only the elite being given access to this amazing information? Is it being suppressed by the secular archaeological media? Sadly, no. The answer is a little more obvious: Ron Wyatt, the man responsible for all of these discoveries, and who, although recently deceased, lives on through the Wyatt Museum, was a crazy, crazy man. I hesitate from calling him a liar, but perhaps he was that too. His claims are a bit light on facts (for example, not providing the name of the institution that did the blood work), the photos are always mysteriously blurry (which is why there is no photographic evidence of the ark), the theology is murky at best, the blood test conclusions are bizarre (why would God make a Y chromosome for Jesus, but not the other 22 autosomal chromosomes? Genetically speaking, a Jesus with only half his chromosomes would have expressed every recessive mutation that Mary had. Is that what we want, a mutant Jesus? ), and, to top it all off, the reason the findings aren’t more widespread is because ‘the time is not yet right for the world to see this discovery with their own eyes’. Although apparently the time is right to purchase a $30 book about the ark of the covenant, which you can order here. When stories like this get into the church, it is no wonder that so many disregard the church as being irrelevant. Jesus told his followers to be ‘wise as serpents and innocent as doves’ (Matthew 10:16). We struggle enough with the second half; can’t we at least nail the first? Even Creation Ministries International and Answers in Genesis were able to see through this ruse (numbers 25 and 26 on ‘Arguments definitely not to use’). If Ken Ham finds Ron Wyatt’s work hard to swallow, then how much more should we! It's hard to determine what drives people like this, as it must be more than pure undiluted greed. Those forced tears at the end, the lack of credible support for his stories, the alienating of those who would argue his posturings... how do the Wyatts of the world exist? I think you nailed it with the serpents and doves quote. Delusions maybe? From what I've read, he really wasn't in it to make a buck. You can see how little money the organization has actually made just by looking at their website (and comparing it to Answers in Genesis). By all accounts, he had no interest in money. Hubris, then? What a fascinating story! A great example of this temptation for conspiracy theories of a dominant culture that is dying--the American religious project moldering in desperation and insufficient mythology.